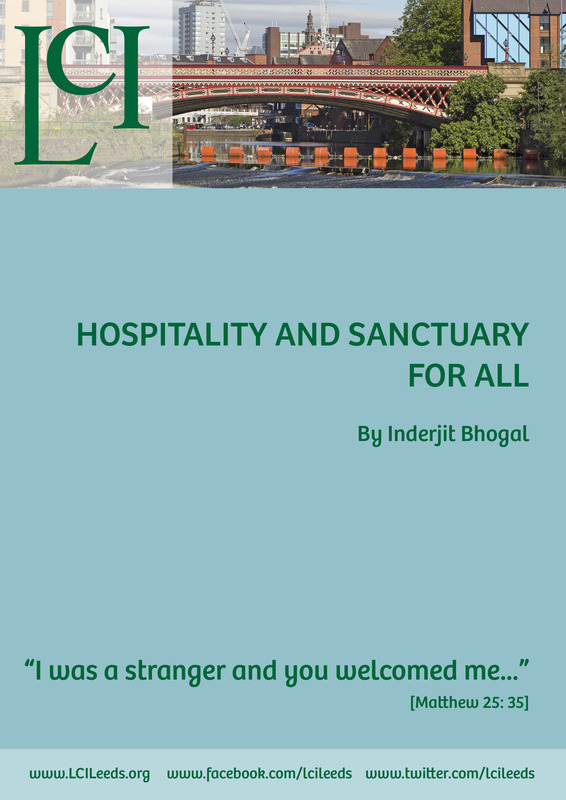 This resource, written by Inderjit Bhogal, offers prompts for conversation and reflection on the theme of hospitality and sanctuary. Though people of different backgrounds are involved in the work of hospitality and sanctuary, this is a resource produced for Churches. This resource is free to use. Please let us know if you do! I was born in Nairobi where I lived till the age of 11 in 1964. Kenya achieved independence, and with my parents and family I left for The UK, via a nine month sojourn in what was then Tanganyika. My first home in this country was in Dudley, West Midlands. From my earliest days of life in the UK people of Asian backgrounds talked with me, because I was fluent in English, about their immigration concerns and forms. So personally, rather than professionally, I have become familiar with immigration matters, policies and procedures. I am familiar with the fears, frustrations, and pains of people of all backgrounds around these. I have determined to take simple steps to seek justice and mercy in policy and procedure. As a Methodist Minister, and Pastor, I have worked with others, especially in Churches, to critique and challenge policy and procedure where it has been unjust and discriminatory. I have supported many campaigns to challenge unjust deportations orders. In the 80’s I supported people taking sanctuary in Churches. I chaired the Sanctuary Working Group of the British Council of Churches. In March 1997 I walked from Sheffield where I live, to 10 Downing Street, with a letter to the Prime Minister asking that Asylum Seekers are not detained in conventional prisons alongside convicted criminals, and for a fairer deal for Asylum Seekers. I also walked from the Home Office to Campsfield Detention Centre in Oxford for the same reason. As President of the Methodist Conference in The UK [2000-2001] I visited all the Detention Centres in The UK and Northern Ireland, following which I wrote a reflection entitled “Unlocking the Doors” . I sent a copy to the Home Secretary. In October 2005 I called a meeting, with Craig Barnett a Quaker colleague, to launch the City of Sanctuary initiative. In 2007 Sheffield was declared UKs first City of Sanctuary. When others asked how they could follow this idea, to assist, Craig and I wrote a short book entitled “Building a City of Sanctuary”  with inspiring practical ideas. There are now 30 Cities/Towns in The UK and Ireland working with the City of Sanctuary vision, to build cultures of welcome and hospitality, Cities we can be proud to live in. Visit the City of Sanctuary website for more details, watch a short video, and study the Birmingham Declaration and criteria for action.